I absolutely love this rice. It’s 100% whole grain which means it retains all of its wholesome bran layer, where the grains nutrients are stored. 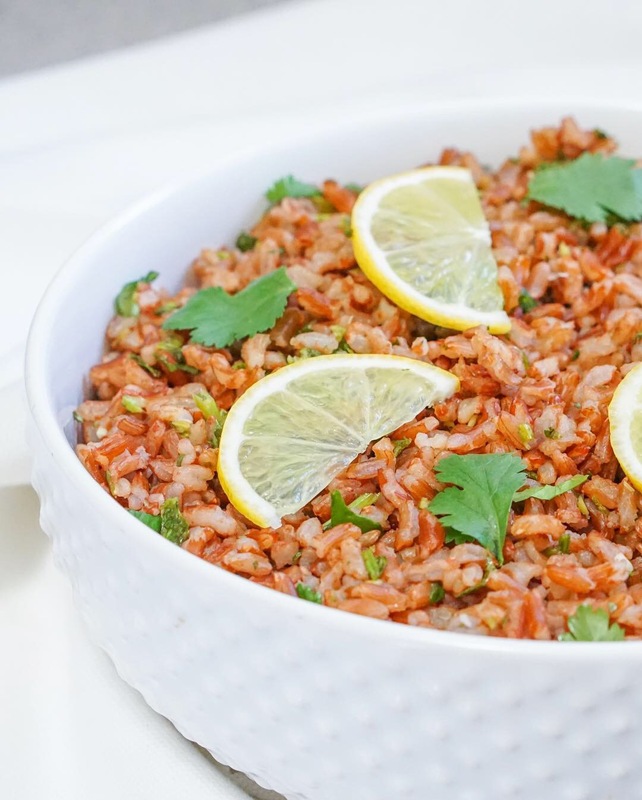 The addition of 3 simple ingredients: cilantro, lime and garlic take this organic red rice to a level of pure deliciousness. Rinse 1/2 bunch of cilantro and twist off the very bottom ends of stems—leave most of stems intact. Roughly chop. Add to a food processor with juice from 1 lime (about 2 Tablespoons lime juice) and 1 garlic clove. Process until nicely blended. Heat up a dollop of oil (or butter) in a saucepan on medium-high heat. 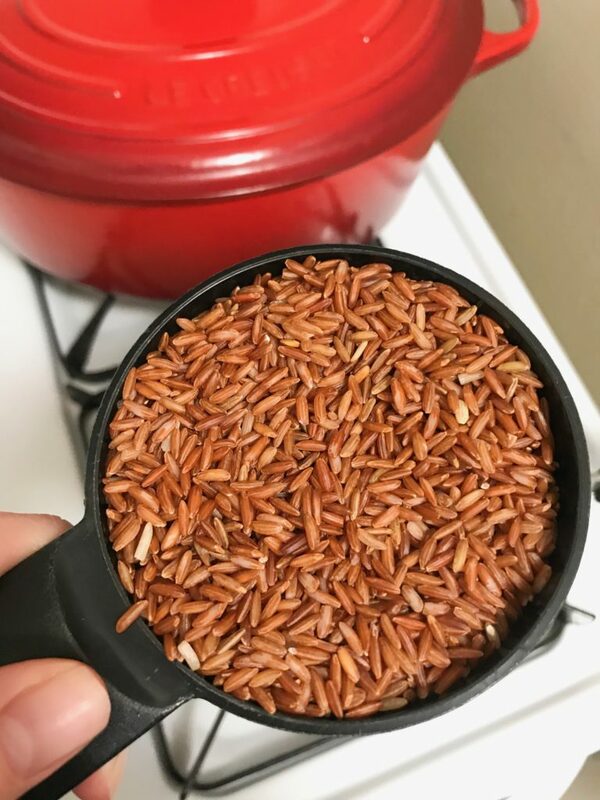 Saute 1 cup of rice in the saucepan until lightly browned. Add 1 and 3/4 cups of stock/water and pinch of salt to the rice. Bring to a boil over high heat. Cover, reduce heat and simmer for 30 minutes. Remove from heat. Let stand covered for a few minutes. Gently fluff rice & stir the lime cilantro mixture to the cooked rice. Now it’s ready to serve! 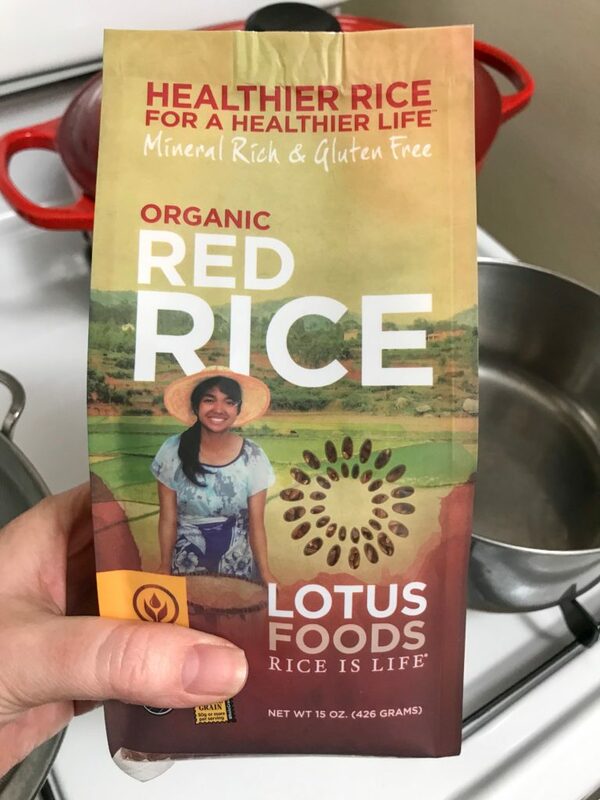 Suggestions: Put this rice in a burrito bowl–think Chipotle copycat. Use as side dish on Taco Tuesday. Stir in some cooked black beans to create a complete protein. 1) Yes, the yellow citrus in my photos are limes (not lemons)! Green limes that you buy in the supermarket are, in fact, underripe. When allowed to fully ripen on the tree, they turn pale yellow. Limes only ripen on the tree; once they’re picked, they won’t continue to ripen. The flavor of unripe green limes is tart and pukery. When left on the tree to ripen and turn yellow–they get sweeter and juicier! 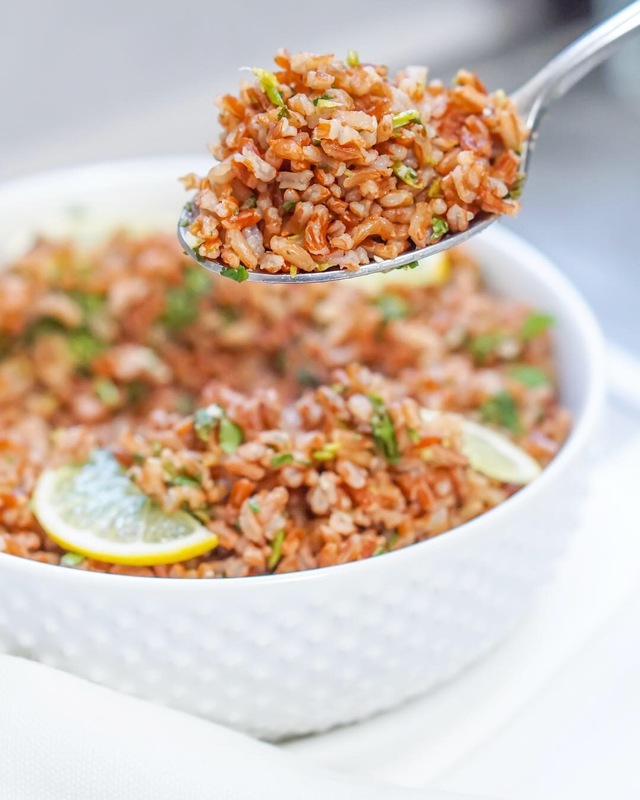 2) Jasmine Rice or Brown Rice can be used for this recipe. Just follow cooking times & liquid measurements on rice package.